Jane Austen was born on 16 December 1775 in north-east Hampshire, England, to the Reverend George Austen and his wife, Cassandra. She had a sister and six brothers. In 1783, along with her sister, she was sent to boarding school. While at school both sisters nearly died of fever, possibly from typhus. Jane left school in 1786. Even as a child she loved writing and wrote a number of short stories. About 1795 she wrote her first novel, Elinor and Marianne. 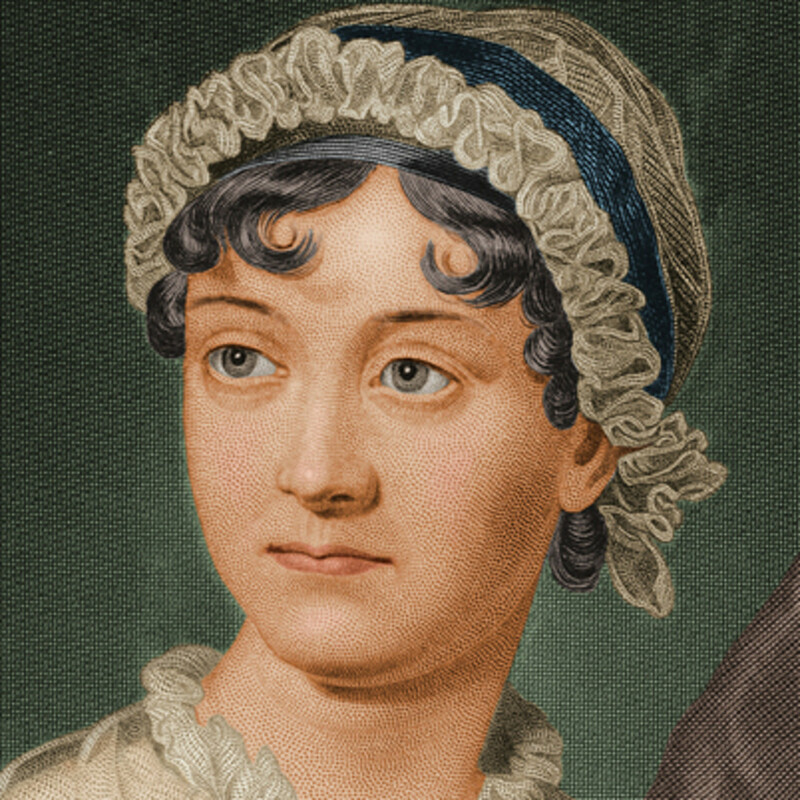 In the years 1796–97 she wrote another novel, First Impressions, later published as Pride and Prejudice. Then in 1798–99 she wrote a novel named Susan. It was published posthumously as Northanger Abbey in 1817. In 1801 Jane moved with her sister and parents to Bath. A tall, slim woman, in 1802 she received a proposal of marriage from a man named Harris Bigg-Wither. At first Jane accepted but changed her mind and never married. In 1807 Jane moved to Southampton. She lived there until 1809. At that time Southampton was a flourishing port town with a population of over 8,000. In 1809 she moved to the little village of Chawton in north Hampshire. In 1811 Sense and Sensibility was published. Pride and Prejudice was published in 1813, Mansfield Park in 1814. Emma followed in 1816. She also wrote Persuasion, but she died before it could be published. It was published posthumously in 1817. Jane died on 18 July 1817 at only 41 years old and was buried in Winchester Cathedral.